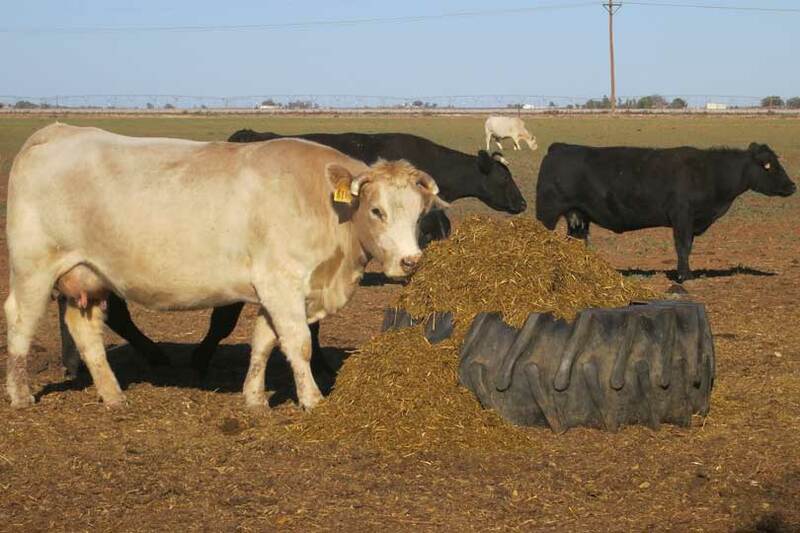 As Texas progresses into winter, the need for supplemental feed for cattle increases. During the winter, protein is often the most important nutrient that needs to be supplemented, according to Tracy Tomascik, Texas Farm Bureau associate director of Commodity and Regulatory Activities. “For fall calving herds, cows are lactating, and they require more nutrients because of that,” Tomascik said. Protein is the primary focus during this time of the year, as long as adequate roughage is available to the herd. Farmers and ranchers will need to monitor body condition scores during this time, he said. Cattle with low body condition will take longer to breed back, which delays calving and marketing next year. There are many options when it comes to supplemental feeds, and ranchers need to consider price per pound of nutrient when making decisions, Tomascik said. A common supplemental feed option is a high protein range cube or “cake,” Tomascik said. The cubes can be dispersed at a rate of two to four pounds per day, per head. Other options include liquid protein supplements and cooked or pressed molasses tubs, where cattle feed as needed. For some, high quality alfalfa and other varieties of stored forage makes the for the best supplemental value. Each year brings a new set of circumstances that require ranchers to handle supplements a little differently. This is the time to start grazing any stockpiled forage or grass set aside and allowed to grow during September and October. These “saved” pastures can help offset the amount of baled hay fed early in the winter season and help conserve inputs for ranchers. “Protein and energy supplements are very important, but don’t overlook fresh water through the winter months. Cattle won’t be consuming much of anything if they’re dehydrated,” he said. Ranchers with specific concerns about cattle supplementation can look to a variety of informed experts in their area for advice. Texas A&M AgriLife Extension agents, veterinarians, nutritionists and staff at local feed stores and mills are valuable resources.